Lipsiae - Leipzig: Sumtibus Caspari Fritsch, 1781 xxviii, 490, ; viii, 86,  pages. 2 volumes bound in one. Pages spotted throughout. 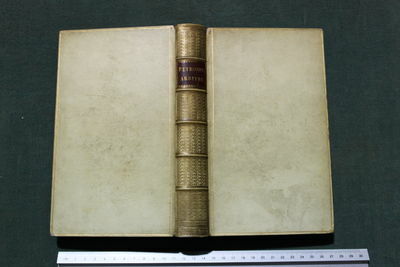 Bound in later full vellum, gilt decorated to the spine. Vellum worn through ont he tips of 2 corners. Some staining to the vellum. Bookplate of Edward Bond 1905 to the front pastedown.. Full vellum. Good.